Many fine handling applications, such as those within the automotive and electronics industries, require that the transfer of materials to and from the workpiece is kept to an absolute minimum. Unfortunately, standard safety gloves are prone to releasing lint fibres, which can cause contamination of products. 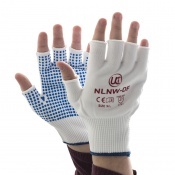 The Knitted Nylon Low-Linting White Gloves with PVC Palm Dots NLNW-D are 13 gauge nylon gloves with a specialised low-linting design that minimises the chances of contamination. Featuring a soft, seamless construction, the Knitted Nylon Low-Linting Gloves provide a high level of wearer comfort and a secure snug fit. 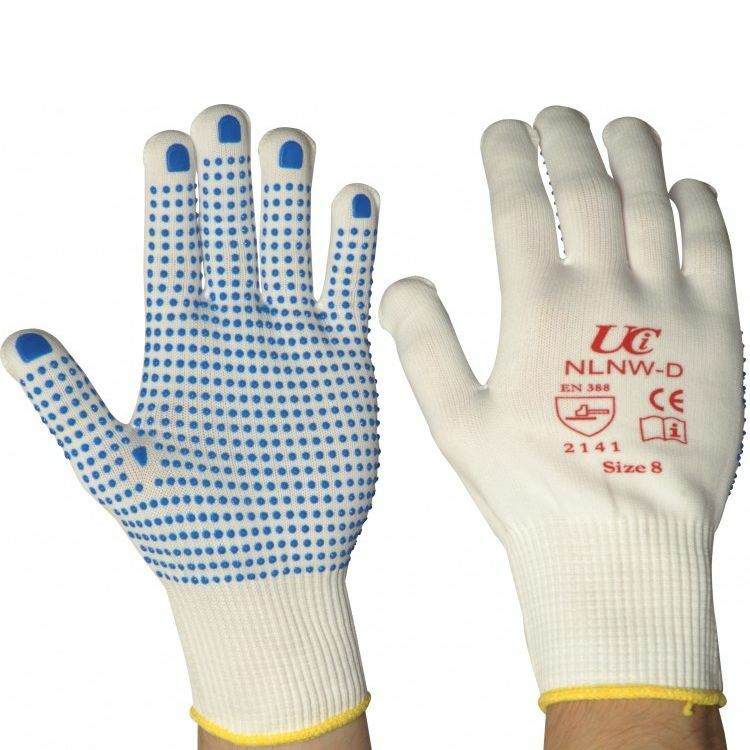 Thanks to PVC palm dots and fingertips, the Knitted Nylon Low-Linting Gloves have improved grip and durability, and are suitable for a range of light handling applications. The product code for these gloves is NLNW-D. 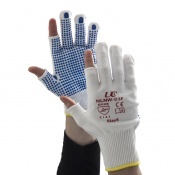 The Knitted Nylon Low-Linting White Gloves are available in four different sizes. Please see the table below for further information. 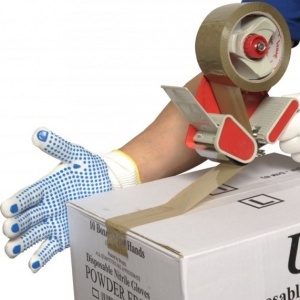 Good general purpose gloves, Excellent price, excellent service.